At first glance it looks like something beautiful, like that which is too good to be true. Then as you come closer, and learn about it, you realise it's actually straight out of your worst nightmare. Singapore's latest attraction, called, Plastikophobia, is much more than what meets the eye. It is actually a cave made of plastic cups. 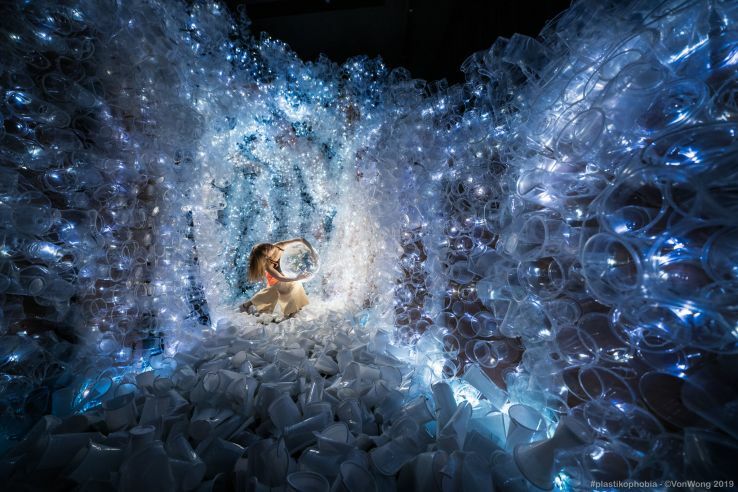 A cave of plastic cups may sound like a terrible idea, but it is exactly that. The idea aims at pointing out plastic as an environment hazard, and makes a pretty good statement. 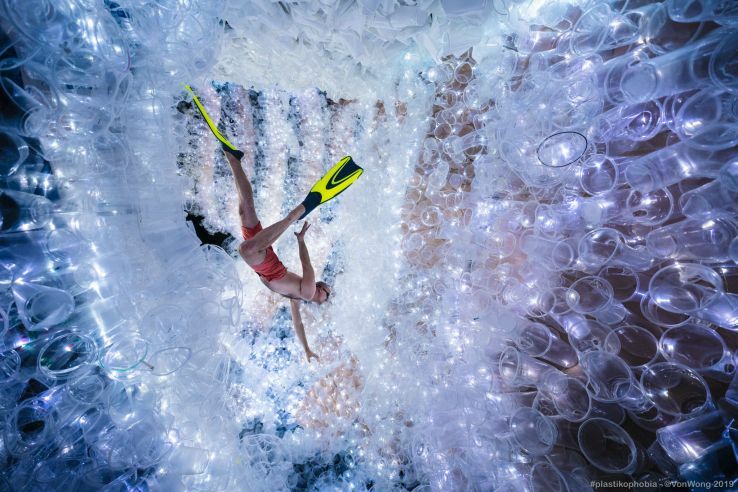 Plastikophobia, the piece of art by Von Wong is an environmental nightmare, and is a stark reminder of our use of plastic. It aims to shock visitors and make us more aware. 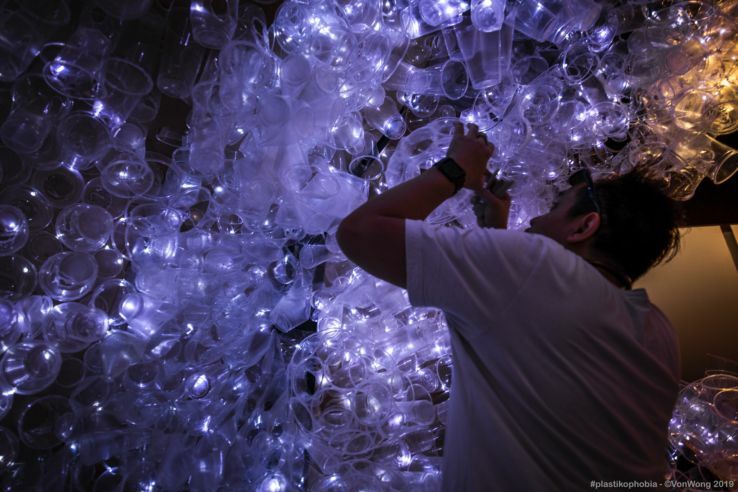 Von Wong's Plastikophobia has made use of 18,000 plastic cups, all of which were collected from local food shops. The plastic cups were then cleaned and installed in this staggering manner. According to reports, Von Wong was joined by social pact strategist Laura Francois, fabricator Joshua Goh, alongside a team of volunteers. Together they spend more than a day to collect these plastic cups, and then two more days to clean them. The crystal look has been given by tiny lights attached to these cups. Visitors can walk through the plastic cup and really get a sense of the whole thing. They can even take selfies and pictures. According to Plastikophobia, 91 percent of plastic isn't recycled, and it further mentions that the best possible solution would be to avoid using plastics. The single-use plastics, unlike the reusable ones, have caused a grave danger on the environment. In the last few years single-use plastic has seen a decline in usage, but a lot of work is left undone. Von Wong had in fact done work on plastic's impact on the environment even in 2016. Back then, he had sent mermaids swimming through a sea full of bottles. The visitors can now get a sense of the impact that plastic can have just from a few restaurants and eateries. You can experience the cave of crystals at the Sustainable Singapore Gallery, located in Marina Bridge in the city. Plastikophobia is on for public viewing until April 18, 2019.